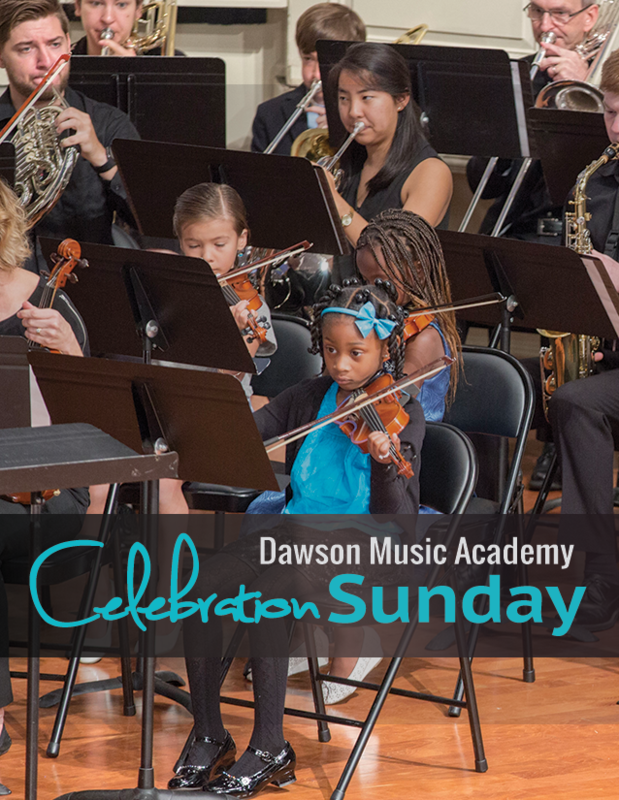 Each student of Dawson Music Academy is invited to participate in Celebration Sunday on March 17. During our Sunday Worship Service, we will celebrate the talents of Academy Students. We will end the morning by treating students and their families to a celebration lunch. Click here for 5 reasons to join the celebration. Celebration Sunday provides an opportunity for all Academy students to play together. Academy students and Dawson Orchestra members will play “Amazing Grace.” Orchestra members, a piano ensemble, and vocal students will join together in one accord to celebrate the gift of music. We hope all of our Academy students and their families will join us for Celebration Sunday 2019! Orchestral instruments, a piano ensemble, and a praise band will join together in one accord to celebrate the gift of music. The music for “Amazing Grace” has been customized for students so that each Academy student can be successful. Vocal students will sing “Build My Life” as they share their talents in Worship. After the 11:00 Worship Service, students of the Academy and their families are invited to join us for a celebration lunch. The lunch is our gift to students for sharing their talents with us. Please click here to make your lunch reservation.